Has Your Lawn Sprinkler System Sprung a Leak? 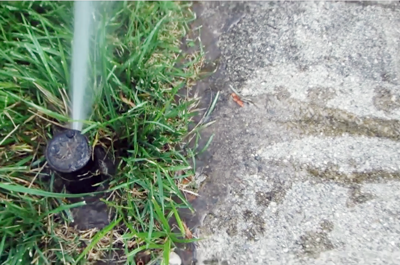 A continuous leak happens in your sprinkler system’s mainline. It leaks all day, every day and will run up your water bill! Fortunately, these leaks are easy to identify, so you can have them fixed right away. An intermittent leak only leaks when a particular zone is running. This pesky leak will still waste money and ruin your landscaping, but it can be challenging to find. Leaks are often caused by landscape maintenance equipment, construction/remodeling work, or children and pets playing in the yard. Sometimes, though, parts just wear out and break. 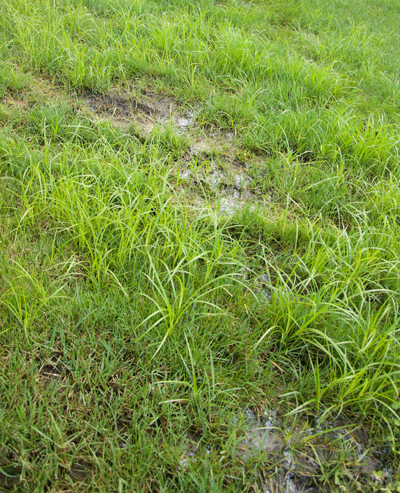 It’s a good idea to occasionally walk your property to see if there are signs of a leak in your sprinkler system. Think you have a leak? Give us a call at 513-379-5780. What if You Never Had to Think About Sprinkler Leaks Again? 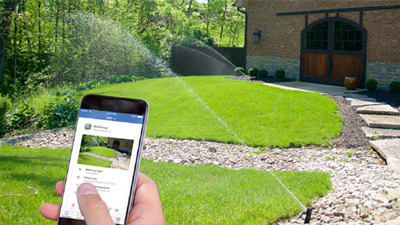 Subscribers to our ‘No Worries’ Sprinkler Management Program can enjoy their lawn and garden without the bother of checking for leaks. Our remote monitoring system alerts our technicians whenever a leak is detected, and we offer priority scheduling for repair appointments. Let us help you save time, money and your landscaping! Learn more about our ‘No Worries’ Sprinkler Management Program. Well written and illustrated. Great pictures, too. I like that you talked about how it’s possible that your sprinkler system has leaks if you notice that there’s water running down your sidewalk when your irrigation system is operating. My husband told me that our driveway is becoming a bit flooded whenever we’re using our sprinkler system which tells us that something is off with it. We want to have this repaired as soon as possible, so we’ll make sure to have our sprinkler system repaired. I do like that you talked about how you should consider contacting a lawn sprinkler repair specialist if you notice that your plants look overwatered and your landscape has wet soil. We have been trying to find out if why our plants are always wet. 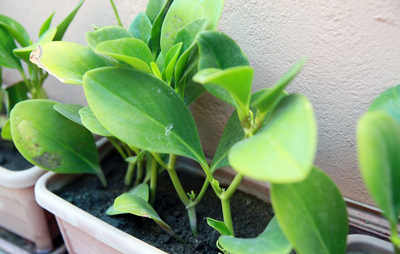 The soil surrounding our plants always has signs of being watered. I will make sure to contact a leaking pipe repair service as soon as possible. You got my attention when you said that it’s possible that your sprinkler system has leaks if you noticed that you have plants that died due to overwatering. This is actually my exact problem because a lot of my plants withered because of too much water. I don’t want my plants to die because of this reason, so I’ll have our sprinkler repaired as soon as possible. You got me when you said that your sprinkler must have sprung a leak if there are plants in your garden that died due to overwatering. With that in mind, I’ll make sure to hire a pro that can repair our sprinkler. The plants that I have been caring for died due to overwatering. There are also parts of our yard that are muddy even if the weather is dry. Thanks for reading our material, I’m glad we were able to help.